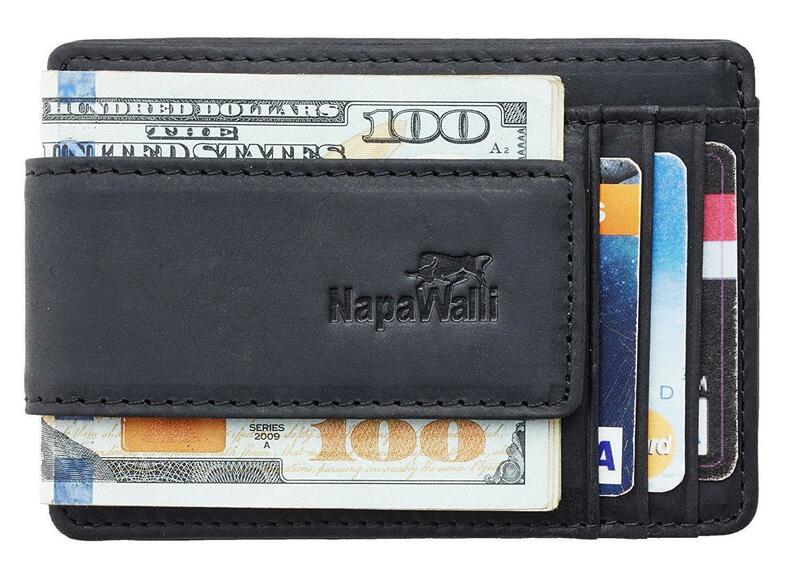 The NapaWalli Magnetic Leather Money Clip Wallet uses super strong magnets to keep your notes safe. Are they too strong though? 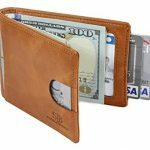 How does the NapaWalli Magnetic Leather Money Clip Wallet stack up? 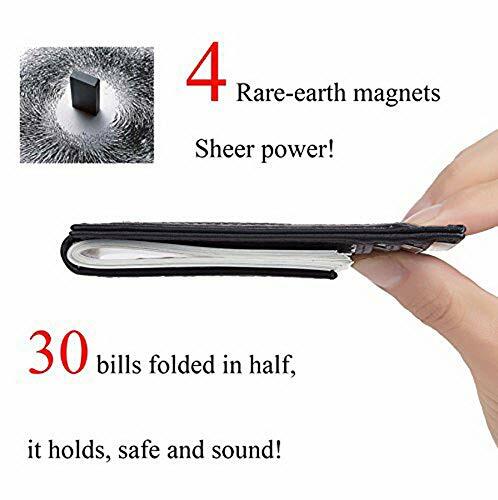 Before we start the inevitable description of the NapaWalli Magnetic Leather Money Clip Wallet, let’s talk about the magnet. 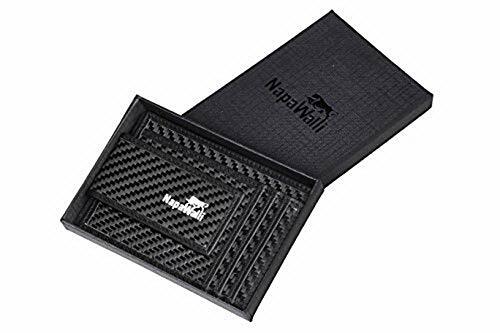 Claiming to use 4 rare earth magnets (instead of two), NapaWalli reckon they’ve found the solution to the money clip mystery. But is stronger better? Well let’s have a look at just how strong it is. NapaWalli say that the money clip will hold 30 notes, safely, no problem. I found 10-15 was more realistic. Strike one, albeit not the end of the world. When you are using a smaller amount of notes, the magnets work excellently to secure your cash. The other issue with the magnet is people saying it is so strong, it is disabling the magnetic strip on their access and credit cards! I didn’t think this was possible, but apparently it is. For every complaint against NapaWalli however, you have 100 reviews that claim this is not a problem. Are they confused though? So many of our cards have RFID chips that are not affected in this way by magnets. So if you only use your chip, you’ll never notice the magnetic strip does not work. 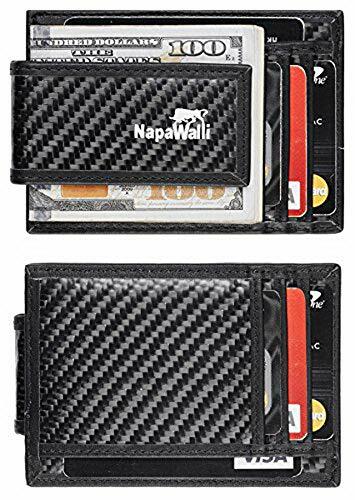 I guess the takeaway from this is, if you store some kind of card in your wallet that uses a magnetic strip of any kind, don’t buy this wallet. 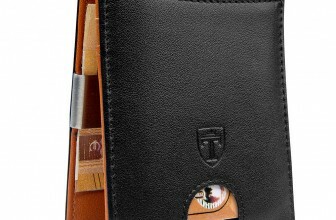 This money clip wallet is however, smartly designed – mostly. I am not a big fan of money clips that position the currency over the cards or ID. This makes it awkward to access and can add to your time at the checkout or airport. 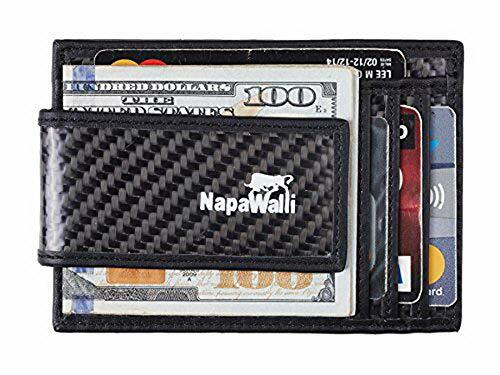 The NapaWalli Magnetic Leather Money Clip Wallet is designed so that both your cards and cash are easy to access. 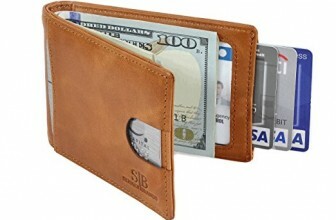 So you have 3 vertical slots to the right of the money clip and one horizontal pocket above. 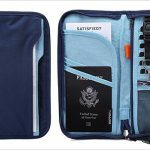 The horizontal pocket is bigger than standard credit card size which I find useful. Turning the card over is a standard clear ID slot and another bigger horizontal pocket. This is where things get a little challenging. The magnet of the money clip is quite strong. This means you have constant pressure on the cards. This means getting the cards out of your wallet can be incredibly annoying. The magnet strikes again! 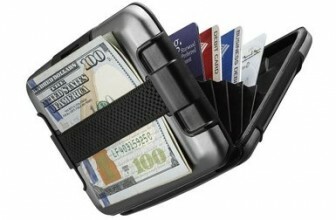 The money clip comes with RFID protection and 1 year warranty. 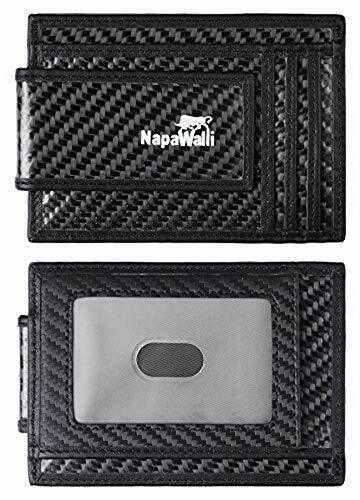 The NapaWalli Magnetic Leather Money Clip Wallet claims to be full grain carbon fibre leather. In actual fact, the NapaWalli comes in a range of colors and styles. Some of them are leather. Some of them are carbon fibre. It’s a nice range too with a lot of variation and feels to choose from. The wallet looks quite nice overall. For it’s price, it certainly has the makings of a more expensive product. It feels durable and I could find no obvious defects with stitching or construction. The quality of the leather is really nice too. Be aware though, it us untreated leather and will fade and mark over time. It also comes with a nice little gift box which is neat. I mentioned before that the slots can be a little tight. Getting your cards out of a pocket that has a magnet holding it down is going to piss anyone off. This also means that you’re not going to be doubling up any of your card slots. 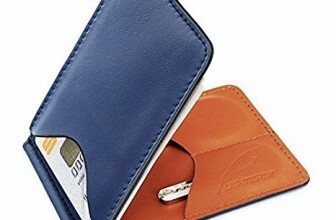 Using your ID as an extra card slot will give you 6 cards max with this wallet. You can try to improvise but let’s be reasonable here, this is not a money clip with a lot of room for cards. It will hold around 20 bank notes but at this point I would stop trusting the magnets to hold it in place. It is a little wider than it needs to be for American notes. For other, larger notes though, the extra width is appreciated. Even when full, the wallet stays quite thin. It’s not really noticeable in front or back pocket and effectively cuts down on bulk. 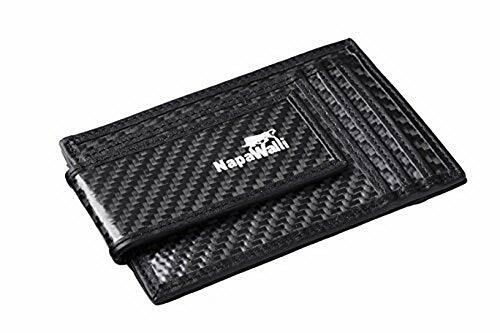 The Achilles heel of the NapaWalli Magnetic Leather Money Clip Wallet is the magnet it claims is the best feature. 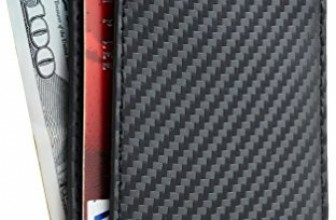 It may damage the magnetic strips on your cards and it also does nothing to help tight card pockets. The design and thinness of the wallet saves it somewhat. For what it's worth, it's pretty good value too.